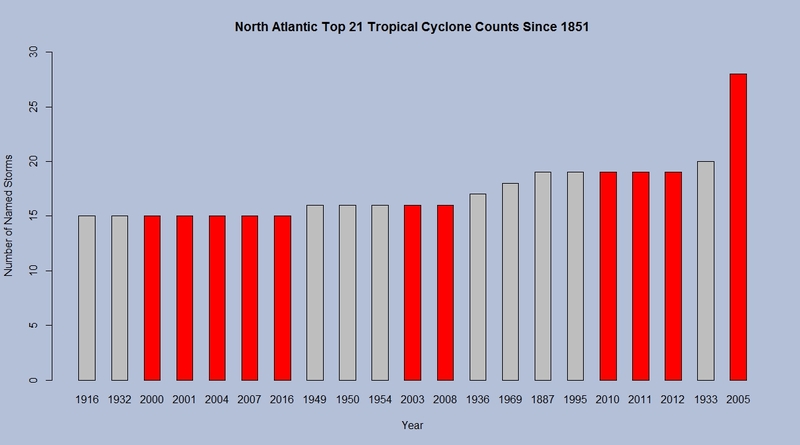 Home / Uncategorized / Are We Seeing More Hurricanes in the North Atlantic? 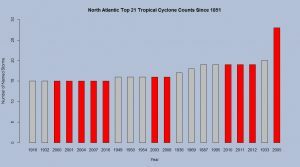 Are We Seeing More Hurricanes in the North Atlantic? 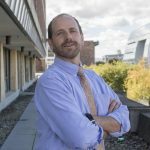 The Tropical Meteorology Project at CSU posts data on hurricanes (and tropical storms). From their data we created this bar chart that shows the top 21 years of hurricanes based on the number of storms. Of the top 21, eleven have occurred since 2000, and 2017 will already be in the top 21 with 16 storms. This will make it twelve of the top 21 since 2000 at years end. The posted data set at the Tropical Meteorology Project includes named storm days, hurricanes, hurricane days, major hurricanes, major hurricane days, and accumulated cyclone energy. Previous Are Falls Getting Warmer?